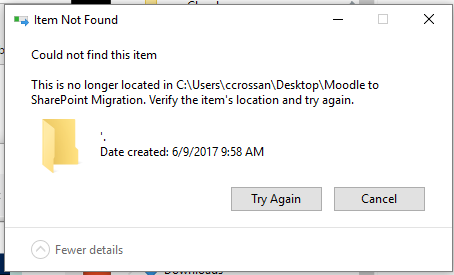 I can’t delete it from Windows Explorer, PowerShell, CMD, [System.IO]::Delete(), or any other method I’ve attempted yet. 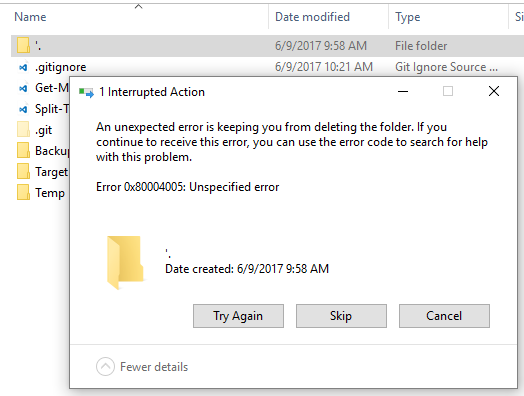 I also can’t delete the parent folder. I cannot move the folder (or it’s parent) to another location – It’s hard-fastened to my desktop. My drive is BitLocker encrypted, so I can’t mount it on a Linux Device for deletion, and leveraging WinPE for BitLocker decryption would likely subject me to the same file APIs .